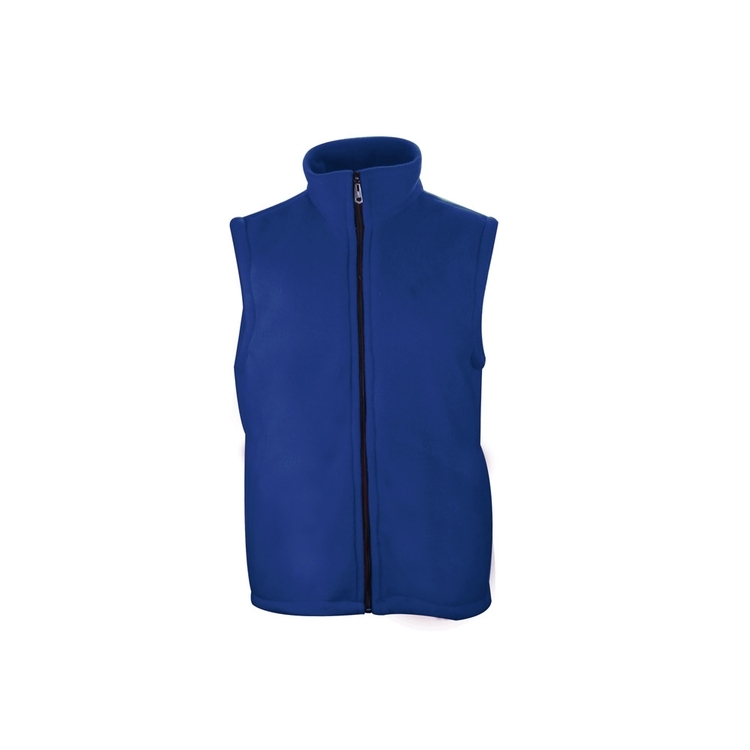 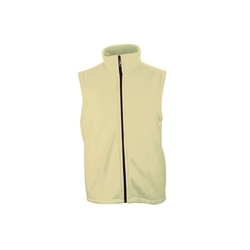 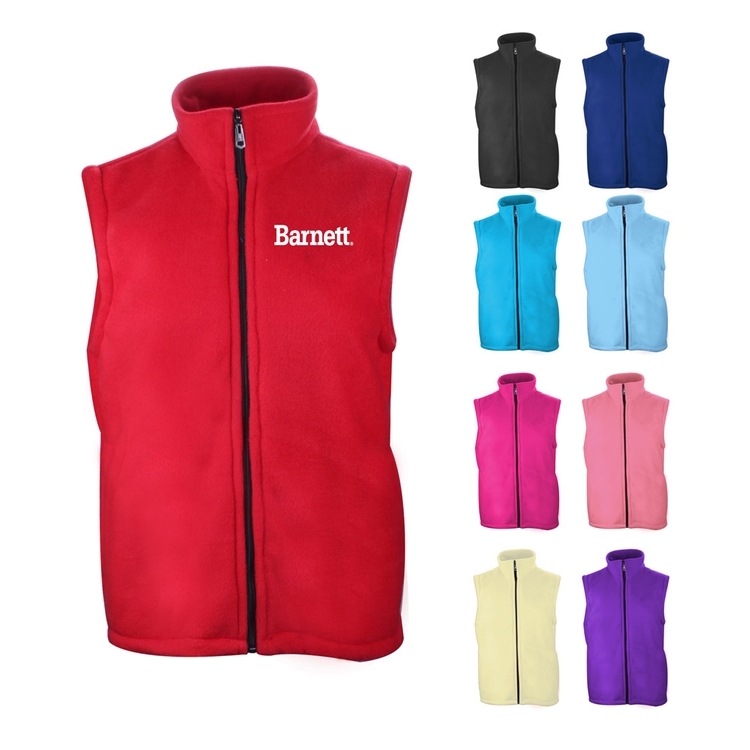 Ladies's 100% polyester polar fleece vest with contrast BLACK No 5 coil center front zipper. There are 2 side pockets without zippers. There is no binding around twin-needle stitched armhole and the bottom hem is twin-needl stitched without drawcord and toggles. The exact date should be confirmed via e-mail. Shipping times may vary. 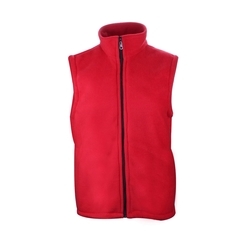 Sourced from: China.